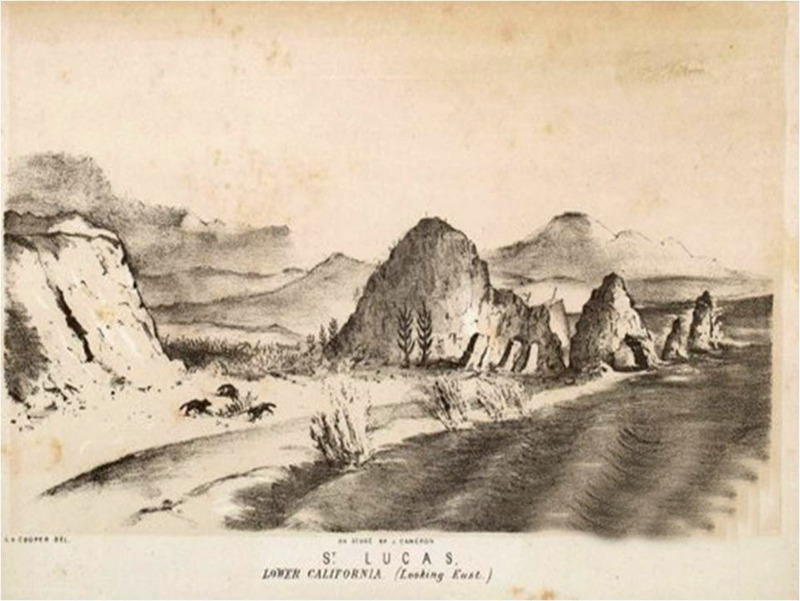 Old Cabo San Lucas post cards from the 1850’s. (Cabo) San Lucas, Lower California. (Looking Northwest) c. 1852. Embarcación arribando al puerto de Cabo San Lucas en 1852. 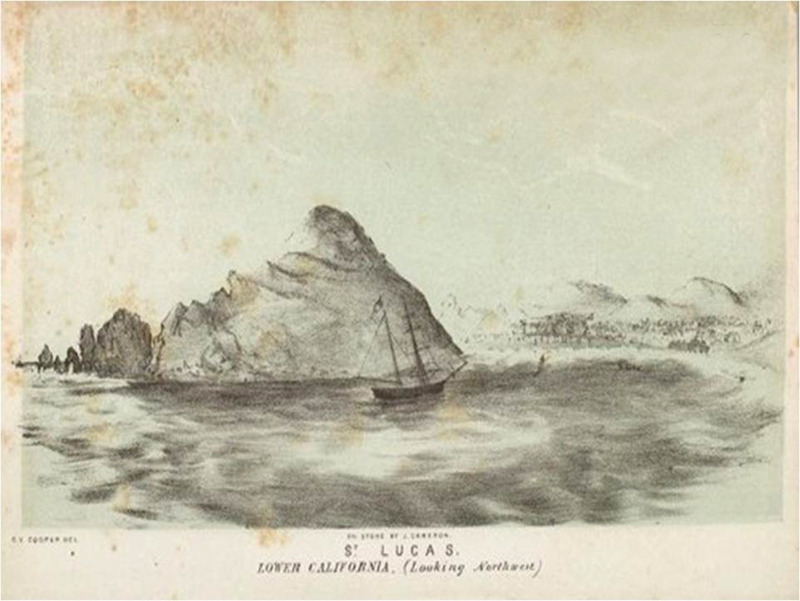 Ship arriving at the port of Cabo San Lucas in 1852.